[November 10, 2014. New York, NY] – Vendedy is beta launching in Haiti on November 12, 2014, just in time for the holiday shopping season. In partnership with IBM and affiliates of the Clinton Global Initiative, this startup aims to digitize the street vending industry by creating a mobile bidding marketplace for 2 billion street vendors across 150 emerging markets. For the first time, street artisans can upload photos of their work onto an online gallery via mobile technology, wait for consumers to bid, and receive SMS payments for their work. The first set of products to be featured are from Haiti, founder Christine Souffrant’s home country, before Vendedy scales across Latin America. 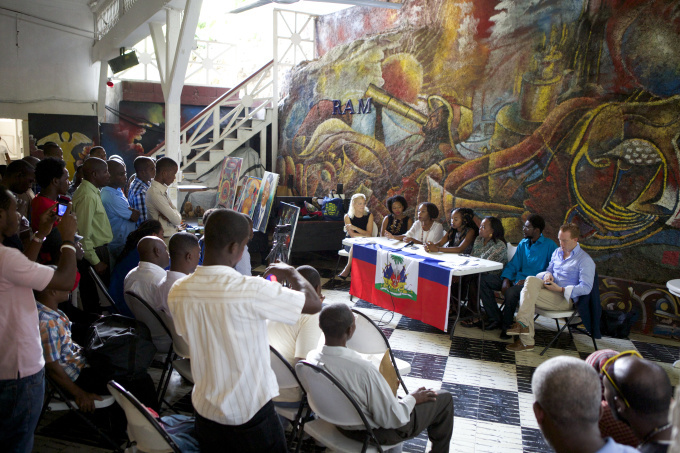 The success of Vendedy in Haiti will secure its growth into other emerging markets all over the world. We invite you to the press conference release on November 13, 2014 (10am) at the Oluffson Hotel. The address is Ave Christopher #60, Port-au-Prince, Haiti. Given that their motto is “Disrupt the Norm,” this social enterprise is sure to do just that. Please visit their website for more information: www.vendedy.com.